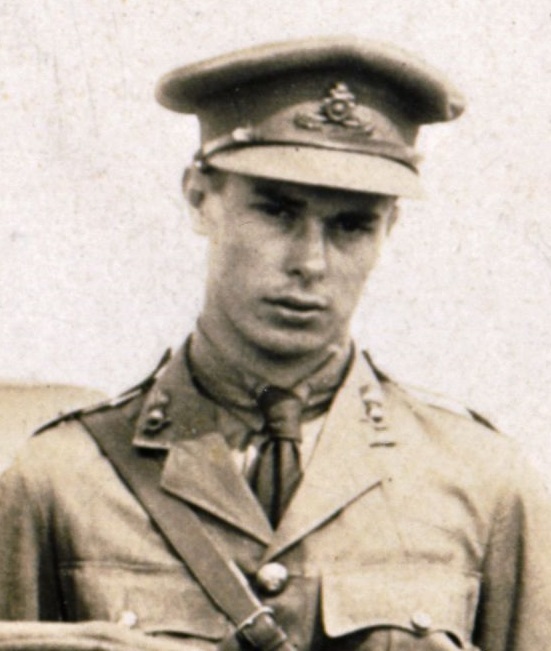 Eades, Reginald James; Taken on strength from General List to 85 Battery 15th Coast Regiment RCA as Lieutenant and T/Captain on 1 Apr 1946 to 1948, struck off strength to the Supplementary List of Officers on 21 Feb 1950 . 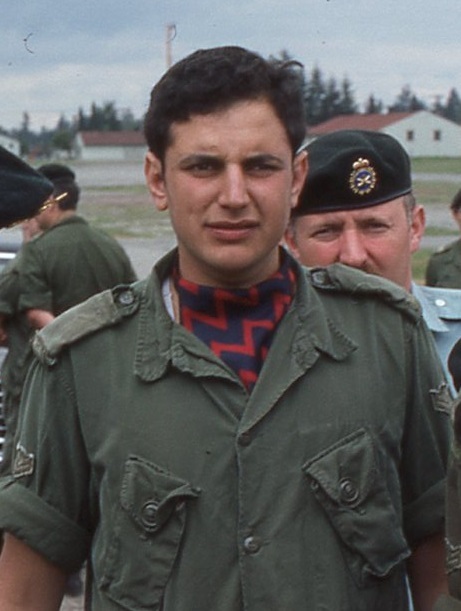 Eagle, Bruce Robert; Taken on strength in The British Columbia Regiment, promoted Corporal, transferred to 15th Field Artillery Regiment RCA on 8 Aug 1985, released on 13 Mar 1986. East, MA; Lance Sergeant listed on the Warrant Officers and Sergeant’s Mess gong. East, Robert Bernard; Taken on strength 15th Field Regiment RCA with former service in Royal Canadian Air Force on 12 Sep 1957, struck off strength on release on 1 Nov 1958. Eastham, Gregory Warren; Taken on strength 15th Field Artillery Regiment RCA on 3 Jul 1978, released 27 Aug 1978. Eastwood, Gerald A; Private in 68 Battery in 1984. Eastwood, Mark Donovan; Taken on strength as a Gunner in 15th Field Artillery Regiment RCA on 28 Mar 1985, qualified General Military Training on 9 Aug 1985, released on 6 Apr 1986. Eaton, Colleen Leslie; Taken on strength as an Administrative Clerk in 15th Field Artillery Regiment RCA on 20 Mar 1976, qualified Motor Support Equipment Operator on 28 Aug 1976, promoted Corporal on 1 Apr 1977, released 25 Aug 1977. Eckersley, Reginald Ambrose; Served with Kings Own (Royal Lancaster Regiment) in South African War, taken on strength 68th Overseas Depot Battery Canadian Field Artillery as Acting Sergeant 12 Oct 1916, assigned regimental number 339362, transferred to Special Services Company 72nd Regiment Seaforth Highlanders of Canada 1 Jun 1917, transferred to 68th Depot Battery Canadian Field Artillery Oct 1917, transferred to 1st Depot Battalion British Columbia Regiment May 1918, discharged 12 Dec 1918, deceased 23 Jul 1953, buried St Stephen's Memorial Rose Garden Summerland BC. Eckersley, Steve​; Taken on strength 15th Field Artillery Regiment RCA on 3 Mar 1977, released 1 Jun 1978. Eckford, Thomas Desmond; Taken on strength as a Gunner with 58th Battery 15th (Vancouver) Coast Regiment RCA NPAM on 31 Jul 1940, assigned regimental number V9933, assigned new regimental number K416550, served with 75th (British Columbia) Heavy Anti-Aircraft Regiment RCA and 43rd Heavy Anti-Aircraft Regiment RCA, Captain in 1953, Major from 154 to 1962, Battery Commander of 5th West Coast Harbour Defence Battery RCA CA(M) from 1954 to 1956, attached fap from Supplementary Reserve (RCA) on 2 May 1955, taken on strength on transfer from Supplementary Reserve (RCA) on 26 Jan 1956, appointed Second in Command on 26 Jan 1956, Battery Commander 31st Battery 15th Field Artillery Regiment RCA in 1962, deceased 18 April 2005. Ede, Athol; Taken on strength McGill Canadian Officers Training Cadre, attested Canadian Overseas Expeditionary Force 22 Nov 1917, regimental #2522391, Gunner 49th Battery, arrived England 4 Mar 1918, taken on strength 68th Battery 16th Brigade North Russia Expeditionary Force 21 Aug 1918, proceeded overseas 20 Sep 1918, disembarked Archangel 1 Oct 1918, embarked for the United Kingdom 18 Jun 1919, to Canada 5 Jul 1919, discharged 15 Jul 1919, deceased 1990. Eden, Mark Robert Charles; Taken on strength 15th Field Artillery Regiment RCA on 24 Mar 1976, released 19 Aug 1976. Edge, RP; Gunner in the 43rd Medium Anti-Aircraft Regiment RCA Military Band in 1958, struck off strength on release on 16 Mar 1959. Edgell, John Herbert; ​Taken on strength 31 Battery 15th (Vancouver) Coast Brigade RCA NPAM 6 Aug 1940, assigned regimental number VV9422, assigned new regimental number K415534, to be Acting Lance Bombardier 15 Nov 1940. Edmison, Jack Norman; Taken on strength on transfer from 6 Fd Enr Regt RCE and to be Medical Officer on 21 Oct 1948, Captain in 1948, struck off strength to Supplementary Reserve (RCAMC) in the rank of Captain on 17 Jun 1949. Edmonds, Edward Joseph Duckering (Ted); ​Member 15th Field Brigade Canadian Artillery in 1929, Second Lieutenant in 1929, qualified examination as Lieutenant at Royal Canadian School of Artillery Winnipeg MB from 14 Oct 1929 to 7 Dec 1929, Captain in 1944, awarded Efficiency Decoration 1944, Major in 1956, awarded Canadian Forces Decoration 1956. ​Edwards (Nikodem), Anne Cecilia; Taken on strength as a Gunner in 15th Field Artillery Regiment RCA on 6 May 1993, qualified QL2 General Military Training on 28 Jul 1993, qualified QL3 Artillery on 27 Mar 1994, qualified QL4 Artillery Communications on 12 Aug 1994, qualified LFC Driver Wheeled on 8 Jan 1995, promoted Bombardier on 1 May 1995, qualified QL4 Basic Artillery Technician on Part I on 30 Jun 1995, qualified QL4 Basic Artillery Technician Part II on 14 Jul 1995, qualified QL4 Basic Artillery Technician Part III on 28 Jul 1995, qualified Phoenix Operator on 17 Feb 1996, qualified QL4 Artillery Driver Wheeled on 9 Oct 1995, transferred to Supplementary Holding Reserve on 17 Feb 2000. ​Edwards, EJD; Lieutenant in 1930. 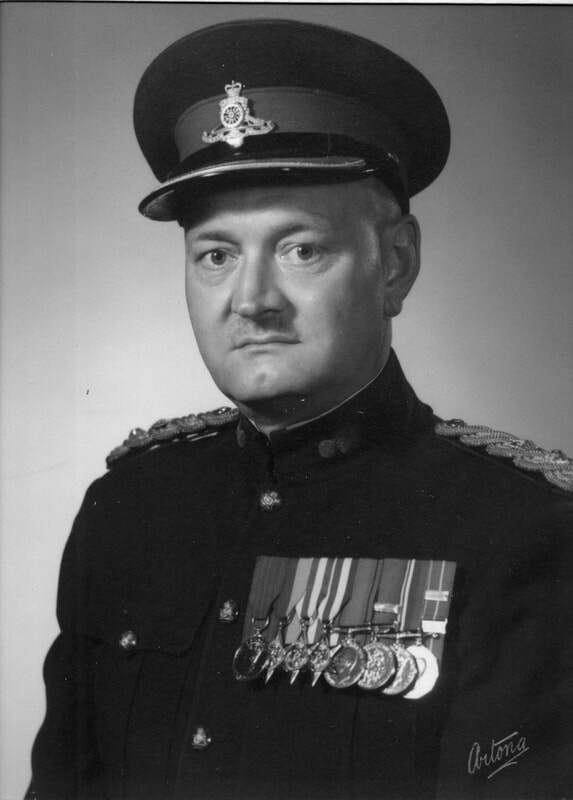 Edwards, Graham Leslie; Taken on strength as a Gunner in 15th Field Artillery Regiment RCA on 3 Jul 1978, qualified General Military Training on 28 Aug 1978, qualified TQ1 Artilleryman on 30 Apr 1980, promoted Bombardier on 1 May 1980, qualified Artillery Communications on 23 Jul 1982, qualified Artillery Technician on 13 Aug 1982, released on 22 Jan 1983. Edwards, John Peter Frederick; Taken on strength 31 Battery 15th (Vancouver) Coast Brigade RCA NPAM 30 Jul 1940, assigned regimental number VV9423, assigned new regimental number K415535, struck off strength left regimental area 19 Nov 1940. Edwards, Russell Seaman; ​Taken on strength 31 Battery 15th (Vancouver) Coast Brigade RCA NPAM 30 Jul 1940, assigned regimental number VV9424, assigned new regimental number K415536. Eely, Aden; Taken on strength as a Gunner in 85 Battery 15th Field Regiment RCA on 5 Jun 1948, appointed Lance Bombardier on 1 Jun 1949, struck off strength on 15 Mar 1951, struck off strength on 16 Feb 1954. Eely, Alnor; Taken on strength as a Gunner in 15th Field Regiment RCA on 5 Jun 1948, appointed Lance Bombardier on 29 Jun 1950. Elder, James Albert; Taken on strength as a Gunner in 15th Field Artillery Regiment RCA on 22 Jan 2002, released on 12 Sep 2002. 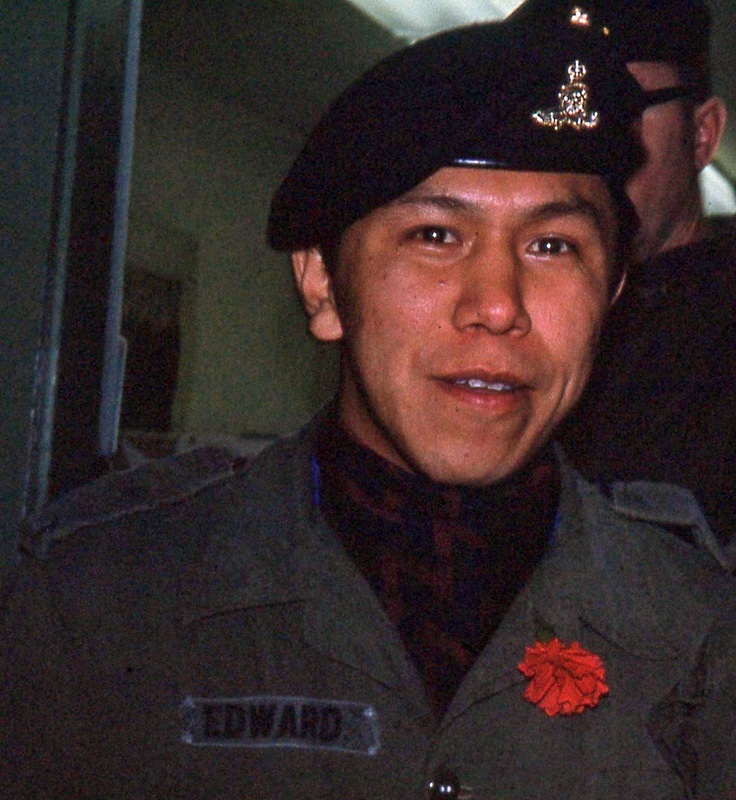 ​Elezam, Claude Armando; Taken on strength 15th Field Artillery Regiment RCA on 18 Nov 1971, qualified Artilleryman on 31 Mar 1973, qualified Artillery Communicator on 27 Jul 1973, promoted Bombardier on 1 Mar 1974, released 16 Dec 1976. ​Eliopoulos, Anastasios N; Taken on strength as a Gunner in 15th Field Artillery Regiment RCA, Private in 2017. Elliott, Albert; ​Taken on strength 31 Battery 15th (Vancouver) Coast Brigade RCA NPAM 30 Jul 1940, assigned regimental number VV9425, assigned new regimental number K415537. Elliott, Justus Henderson; Taken on strength 43rd Anti-Aircraft Regiment RCA CA (M) Military Band with former service Canadian Army (RF) on 1 Dec 1958. Elliott, Thomas; Taken on strength 15th Field Regiment RCA on 5 Nov 1957, transferred to 15th Field Regiment RCA Military Band on 31 Oct 1958. Ellis, Bernard Henry; Taken on strength 31 Battery 15th (Vancouver) Coast Brigade RCA NPAM 30 Jul 1940, assigned regimental number V9426, assigned new regimental number K415538. Ellis, Edward Bayfield; Taken on strength as a Gunner with the No. 5 Siege Battery Canadian Garrison Artillery on 29 Apr 1916, embarked on the S.S. Southland on 26th Sep 1916, unit renamed 8th Siege Battery Canadian Garrison Artillery on 31 Mar 1917, landed in France on 31 Mar 1917, gassed 29 Jul 1917, rejoined unit 6 Aug 1917, hospitalized 18 Sep 1917, taken on strength Canadian Artillery Reinforcement Depot on 6 Oct 1917, taken on strength 11th Siege Battery on 16 Jan 1918, absorbed into 3 Brigade Canadian Siege Artillery on 3 Apr 1918, taken on strength Canadian Artillery Reinforcement Depot on 30 Nov 1918, struck off strength to Canada on 8 Jan 1919, charged while on active service conduct to the prejudice of good order and military discipline in that he on 2 Apr 1919 after the breakfast hour went into the kitchen without permission and obtained food, discharged 15 Apr 1919. Ellis, Michael Phillip; Taken on strength in 15th Field Regiment RCA as Second Lieutenant on enrolment (formerly Second Lieutenant British Army) on 12 Mar 1953, promoted Lieutenant on 7 Jul 1956, struck off strength on transfer to Supplementary Reserve (RCA) on 20 Jun 1957. Ellis, PAT; Captain in 15th (Coast) Brigade RCA CA in 1942, Acting Battery Commander Yorke Island from 29 Dec 1943 to 7 Jan 1944, 58th Battery in 1944. 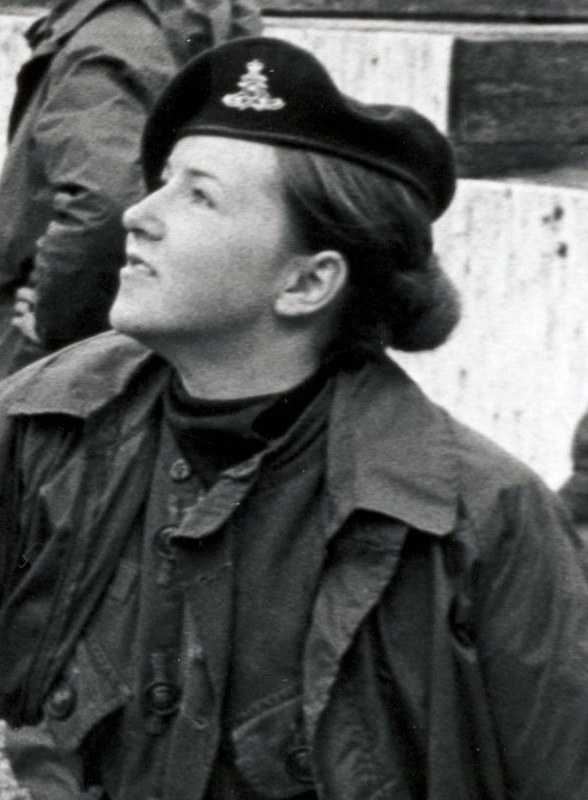 Elmes, AJ; Bombardier in 158 Battery in 1969. Elrick, D; ​Awarded Lieutenant Colonel Jackson trophy as most efficient Bombardier of the year in 1961. Elrick, DA; Member 158 Battery 15th Field Artillery Regiment RCA 1961, Promoted Staff Sergeant 1961. ​Elsdon, Walter Douglas; Lieutenant with 2nd Canadian Field Regiment RCA in 1945, awarded George Medal 6 Oct 1945, Major in 1952, 43rd Medium Anti-Aircraft Regiment RCA from 1958 to 1959, Second in Command in 1959, awarded Canadian Forces Decoration 6 Oct 1952, promoted Lieutenant-Colonel and appointed Commanding Officer from 1962 to 1965, Vice-President of Royal Canadian Artillery Association in 1967, President Royal Canadian Artillery Association in 1968, deceased 26 Oct 1989. Elwood, Susan J; Private in the Regimental Band in 1988, Bombardier from 1989 to 1990, Master Bombardier in 2000. Emard, Leia Melissa ; Taken on strength as a Supply Technician in 15th Field Artillery Regiment RCA on 10 Jun 1998, qualified QL2 Basic on 29 Aug 1999, qualified QL3 Supply Technician on 18 Jul 1999, transferred to 746 Communications Squadron on 1 Apr 2000. Emerslund, Courtney GP; Taken on strength as a Gunner in 15th Field Artillery Regiment RCA, Private in 2017. Emerson; Nicknamed Cowboy, ​Gunner in 85th Heavy Battery 15th (Vancouver) Coast Brigade RCA on Yorke Island. Endall, Richard Allan; Taken on strength as a Gunner in 15th Field Artillery Regiment RCA on 15 Mar 1984, released on 21 Apr 1984. Engelberg, David; Taken on strength as a Musician in 15th Field Artillery Regiment RCA on 21 Jun 1984, qualified General Military Training on 17 Aug 1984, qualified TQ1 Musician on 17 Aug 1984, released on 10 Oct 1985. ​Engelen, Doug; Bombardier in 85th Heavy Battery 15th (Vancouver) Coast Brigade RCA in 1939. 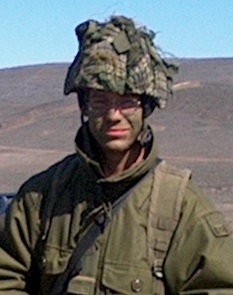 Engineer, Navruze J; Private in 68 Battery in 1984. English, GG; Taken on strength 15th Field Regiment RCA on transfer from 5 Independent Medium Battery RCA as Captain on 20 Nov 1956, struck off strength on transfer to Supplementary Reserve (RCA) on 15 Apr 1958. English, James Francis; Taken on strength with Prince Edward Island Heavy Brigade Canadian Garrison Artillery, taken on strength as a Gunner with the No. 5 Siege Battery Canadian Garrison Artillery on 23 Jun 1916, embarked on the S.S. Southland on 26th Sep 1916, unit renamed 8th Siege Battery Canadian Garrison Artillery on 31 Mar 1917, landed in France on 31 Mar 1917, hospitalized 15 Sep 1917, taken on strength Canadian Artillery Reinforcement Depot on 11 Oct 1917, discharged 30 Nov 1917, taken on strength 11th Siege Battery on 2 Jan 1918, landed in France 5 Apr 1918, absorbed into 3 Brigade Canadian Siege Artillery on 3 Apr 1918, proceeded to England on 31 Mar 1919, sailed to Canada on 3 May 1919, discharged 14 May 1919, deceased 7 Jun 1972. Ennig, Erwin; Taken on strength 15th Field Artillery Regiment RCA on 9 Jul 1979, released 9 Jul 1979. Ennis, Ronald Gordon; Taken on strength 15 Field Regiment RCA on 11 Mar 1954, struck off strength on transfer to 24 Medical Company RCAMC on 31 Mar 1956. Enns, Nicole Anne; Taken on strength as a Gunner in 15th Field Artillery Regiment RCA on 17 Jun 1993,qualified QL2 Common Recruit on 28 Jul 1993, qualified QL3 Artillery on 28 Mar 1994, qualified QL4 Basic Tech Part I, II and II on 12 Aug 1994, promoted Bombardier on 1 Oct 1994, released on 1 Sep 1995. 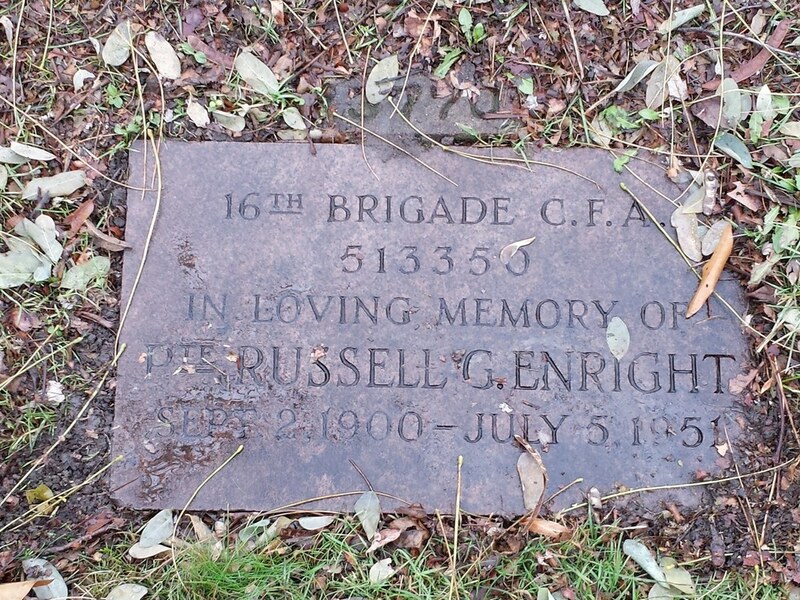 Enright, Russell George; Attested Canadian Overseas Expeditionary Force 1 Apr 1916, regt #745530, hospitalized scabies 5 Jun 1916, discharged 9 Jun 1916, struck off strength Deserter 19 Jul 1916, 116th Overseas Battalion, attested second time 1 Dec 1916 (change of birth date), regt #513350, No.2 Overseas A.S.C. Training Depot, embarked Canada 25 Jan 1917, disembarked England 6 Feb 1917, placed on restricted pay for period of 2 months 10 Jan 1918, taken on strength Reserve Brigade Canadian Field Artillery 1 Apr 1918, minor born 2 Sep 1899, taken on strength 68th Battery 16th Brigade North Russia Expeditionary Force 17 Sep 1918, proceeded overseas 20 Sep 1918, disembarked Archangel 1 Oct 1918, embarked for the United Kingdom 18 Jun 1919, to Canada 5 Jul 1919, discharged 15 Jul 1919, deceased 5 Jul 1951, interred Prospect Cemetery Toronto ON. Eplett, Oscar George; Attested Canadian Overseas Expeditionary Force 17 Dec 1915, regimental #312860, Gunner 41st Battery Canadian Field Artillery, arrived England 14 Feb 1916, arrived France 15 Jul 1916, taken on strength to 68th Battery 16th Brigade North Russia Expeditionary Force 21 Aug 1918, proceeded overseas 20 Sep 1918, disembarked Archangel 1 Oct 1918, embarked Archangel for the United Kingdom 18 Jun 1919, to Canada 5 Jul 1919, discharged 15 Jul 1919, deceased 1976, interred Victoria Harbour Simcoe ON. Erickson, Christian Zane; Taken on strength as a Gunner in 15th Field Artillery Regiment RCA on 4 Apr 1996, qualified QL2 Recruit on 26 Jul 1996, qualified QL3 Artillery on 20 Aug 1996, released on 28 Jan 1997. ​Erickson, Darrell Turner; Taken on strength as a Gunner in 15th Field Artillery Regiment RCA on 5 Dec 1992, qualified QL2 General Military Training on 23 May 1993, qualified QL3 Artillery on 30 Jun 1993, qualified QL4 Basic Artillery Communications on 28 Jul 1993, qualified QL4 Basic Artillery Technician Part I on 30 Jun 1994, qualified QL4 Basic Artillery Technician Part II on 15 Jul 1994, promoted Bombardier on 7 Dec 1994, qualified LFC Driver Wheeled on 25 Jun 1995, qualified QL4 Forward Observation Officer Technician on 26 Jul 1996, operational tour with SFOR from 25 Sep 1996 to 31 Aug 1997, qualified Junior Leaders Course on 4 Jun 1998, qualified LFC Junior NCO Course on 8 Jul 1998, promoted Master Bombardier on 23 Aug 1998, transferred out on 21 Feb 2005. ﻿​​Erickson, Lyle Arnold; Taken on strength as a Gunner in 15th Field Artillery regiment RCA 12 Apr 1994, qualified general Military training 30 Jun 1994, qualified Qualification Level 3 Artillery 5 Mar 1995, qualified Artillery Communicator 22 Feb 1998, promoted Bombardier 22 Mar 1998, qualified Driver Wheeled 26 Jan 2002, retired 2011. 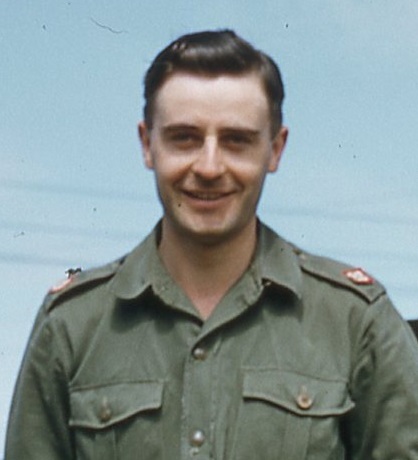 Erickson, Wallace Arthur; Taken on strength as a Gunner in 85 Battery 15th Field Regiment RCA on 30 May 1948, appointed Acting Sergeant on 9 Jun 1949, called out for service with the Active Force on 26 Jun 1950, struck off strength enlisted Canadian Army (Active Force) on 6 May 1951. Erridge, Ben Charles; Taken on strength 31 Battery 15th (Vancouver) Coast Brigade RCA NPAM 20 Aug 1940, assigned regimental number VV9427, assigned new regimental number K415539, to be Acting Lance Bombardier 15 Nov 1940. Erskine, John Francis; Taken on strength 31 Battery 15th (Vancouver) Coast Brigade RCA NPAM 30 Jul 1940, assigned regimental number VV9428, assigned new regimental number K415540. Erwin, Peter Michael; Taken on strength as a Gunner in 15th Field Artillery Regiment RCA 17 May 1962, remustered to Bandsman Saxophone 6 Jul 1962, promoted Bombardier 1 Oct 1962, promoted Sergeant 15 Jul 1963, released 30 Mar 1966, enrolled 17 May 1966, promoted Sergeant 17 May 1966, promoted Warrant Officer 8 Feb 1968, promoted Master Warrant Officer 1 May 1970, promoted Acting Chief Warrant Officer 28 Oct 1971, promoted substantive Chief Warrant Officer 1 Jun 1975, commissioned Captain 1 Jun 1977, promoted Major 15 Oct 1980, transferred to Militia Area Pacific 1 Dec 1980, deceased Jan 14, 2015. 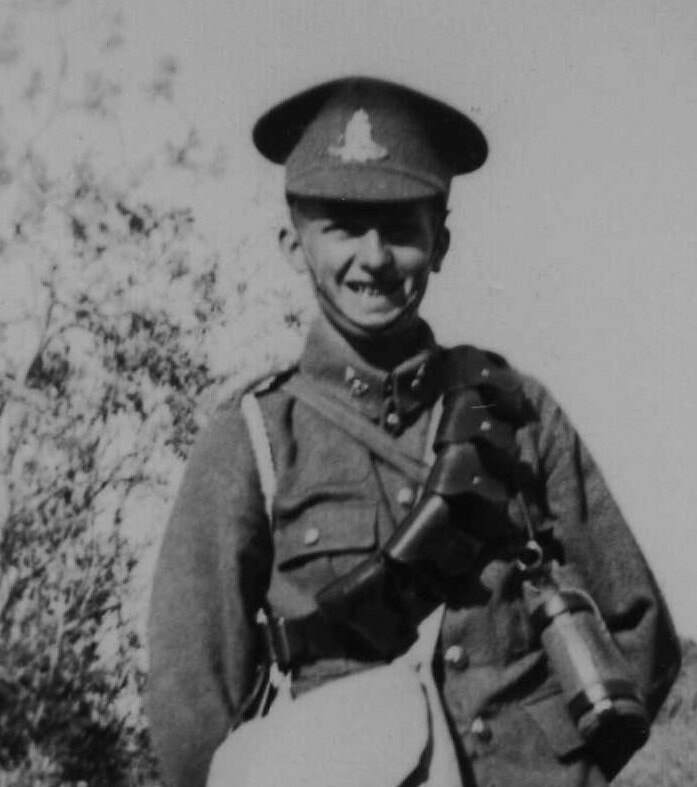 Essery, Ernest Lloyd; Taken on strength with Prince Edward Island Heavy Brigade Canadian Garrison Artillery, taken on strength as a Gunner with the No. 5 Siege Battery Canadian Garrison Artillery on 18 Apr 1916, embarked on the S.S. Southland on 26th Sep 1916, transferred to Canadian Artillery Reinforcing Depot on 31 Mar 1917, taken on strength 11th Siege 28 Jun 1917, taken on strength Canadian Artillery Reinforcement Depot on 27 Aug 1917, taken on strength HTMB 5th CDA on 13 Oct 1917, taken on strength Canadian Artillery Depot on 27 Aug 1917, proceeded to France as reinforcement to the Canadian Heavy Artillery on 2 Apr 1918, hospitalized influenza 22 Jun 1918, rejoined unit 8 Nov 1918, proceeded to England on 30 Mar 1919, sailed to Canada on 3 May 1919, discharged 18 May 1919, deceased 28 Jun 1946. Eugelmi, Susan J; Taken on strength 15th Field Artillery Regiment Band as a musician, Corporal in 1994. Esson, Dennis Ture; Taken on strength as a Musician in 15th Field Artillery Regiment RCA on 8 Jan 1981, released on 31 May 1984. 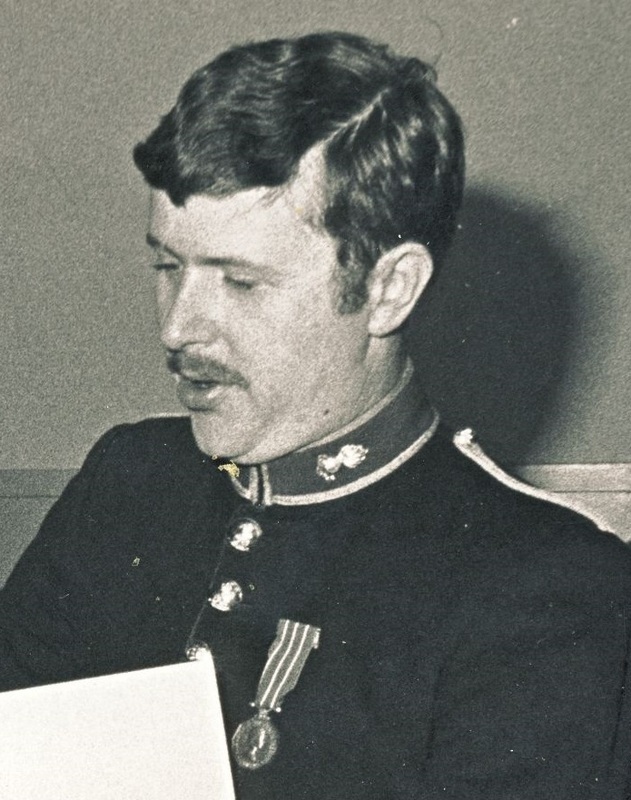 Euler, James Michael; Taken on strength as an Administrative Clerk in 15th Field Artillery Regiment RCA on 8 May 1986, qualified General Military Training Recruit and Basic on 9 Aug 1986, qualified TQ Cook on 29 Aug 1988,remustered to Cook on 27 Oct 1988, transferred to Regular Force on 5 Jan 1989. Eustis, Samuel George; Taken on strength as a Gunner with 58th Battery 15th (Vancouver) Coast Regiment RCA NPAM on 9 Aug 1940, assigned regimental number V9934, assigned new regimental number K416551, struck off strength medically unfit 29 Nov 1940. Evans, Albert William; Taken on strength 15th Field Regiment RCA on enrolment with former service in Canadian Army (Active) on 1 Dec 1955, struck off strength on transfer to 156 Company RCASC(M). ​Evans, Chad Jonathan; Taken on strength as a Gunner in 15th Field Artillery regiment RCA on 6 May 1999, qualified Qualification level 3 Artillery on 20 Aug 1999, qualified M109 conversion on 16 Mar 2001, qualified Artillery Communications on 8 Mar 2001, appointed Officer Cadet on 2 May 2001, promoted Second Lieutenant on 1 Sep 2001, Lieutenant from 2003 to 2008, Captain 2011. Evans, David John; Gunner in 102nd Coast Regiment RCA in 1954, taken on strength on transfer 15th Field Regiment RCA on 9 Nov 1954, struck off strength on release on 1 Dec 1955. Evans, Edward Morgan; Taken on strength 15th Field Artillery Regiment RCA on 4 Jul 1977, released 28 Aug 1977. ​Evans, Elmer; 68th Battery Canadian Field Artillery Gunner March 1918, England April 1918, France 18th Battery Aug 1918, Canada and discharged June 1919. Evans, Richard Alan; Taken on strength 15th Field Artillery Regiment RCA on 17 Apr 1975, released 1 Feb 1976. 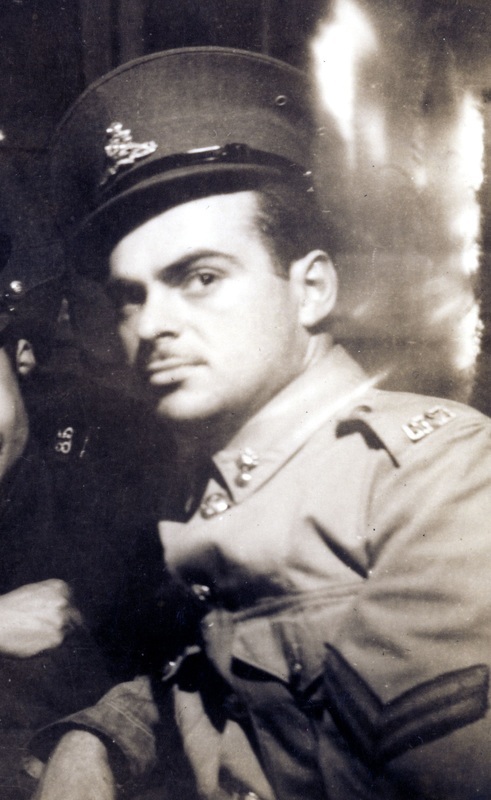 ​Evans, SE; Captain in 15th (Coast) Brigade RCA CA in 1942. Evans, Vaughan Maxwell; Taken on strength 15th Field Artillery Regiment RCA on 2 Jul 1981, released 6 Sep 1981. Everatt, MA; Private in 31 Battery in 1976. ​Everatt, Simon Richard; Taken on strength as a Musician in 15th Field Artillery Regiment RCA on 5 Nov 1981, qualified TQ1 Musician (Euphonium) on 10 Aug 1982, promoted Bombardier on 5 Nov 1982, qualified TQ2 Musician on 28 Aug 1982, qualified TQ3 Euphonium on 11 Feb 1983, transferred to Supplementary List on 30 Apr 1984. ​Everett, Clinton Guy; ​Taken on strength 15th Field Artillery Regiment RCA on 1 Oct 1979 with previous service, released 21 Feb 1981. Everett, Don W; Lieutenant in 1958, 43rd Medium Anti-Aircraft Regiment RCA in 1958, Captain in 1961, 85 Battery 15th Field Artillery Regiment RCA in 1961. Everett, Michael Andrew; Taken on strength 15th Field Artillery Regiment RCA on 2 Mar 1976, released 31 Oct 1977. Ewert, Earl; Taken on strength with 31 Battery 15 Field Regiment RCA on 5 Feb 1948, struck off strength on 16 Feb 1954. Eyre, Brandon J; Taken on strength as a Gunner in 15th Field Artillery Regiment RCA, Gunner in 2017, awarded Gunner Douglas Corsor Jr. Memorial Trophy 2017. Eyre, Donald Frederick; Taken on strength as a Gunner with 58th Battery 15th (Vancouver) Coast Regiment RCA NPAM on 31 Jul 1940, assigned regimental number V9935, assigned new regimental number K416552.